Aerotenna was the first to introduce flight control systems based on SoC technology. Partnering with Intel®, Aerotenna developed and released OcPoC with Altera Cyclone, with an industry-leading 100+ I/Os for sensor integration, and FPGA for sensor fusion, real-time data processing and deep learning. Together with Aerotenna’s μ series microwave radars, OcPoC unleashes your drone to achieve safe and reliable autonomous flying, and allow the drone industry to grow unhindered by processor limitations. OcPoc_Altera - Introduction from Aerotenna on Vimeo. Flying with OcPoC-Alera-uLanding from Aerotenna on Vimeo. Flying with OcPoC-Cyclone on TTA Airframe from Aerotenna on Vimeo. The Octagonal Pilot on Chip system – known as the OcPoC – is an ultra-powerful flight control platform engineered to bring you greatly enhanced I/O capabilities and processing power that is unparalleled by any other platform of its class. The OcPoC has been recognized as the first commercially available flight control platform, powered by the FPGA SoC processor, and employs efficient embedded system drivers and algorithms to maximize the potential of this chip. What is the technical roadmap of OcPoC? OcPoC is designed to take advantage of FPGA System-on-Chip (SoC) structure to offer a stable, safe and smart flying experience for drones and UAVs. OcPoC will be released as two versions: a developer version and a commercial version. The developer version is designed to support open-source projects, where all the hardware design and board support packages will be open to download and modify. 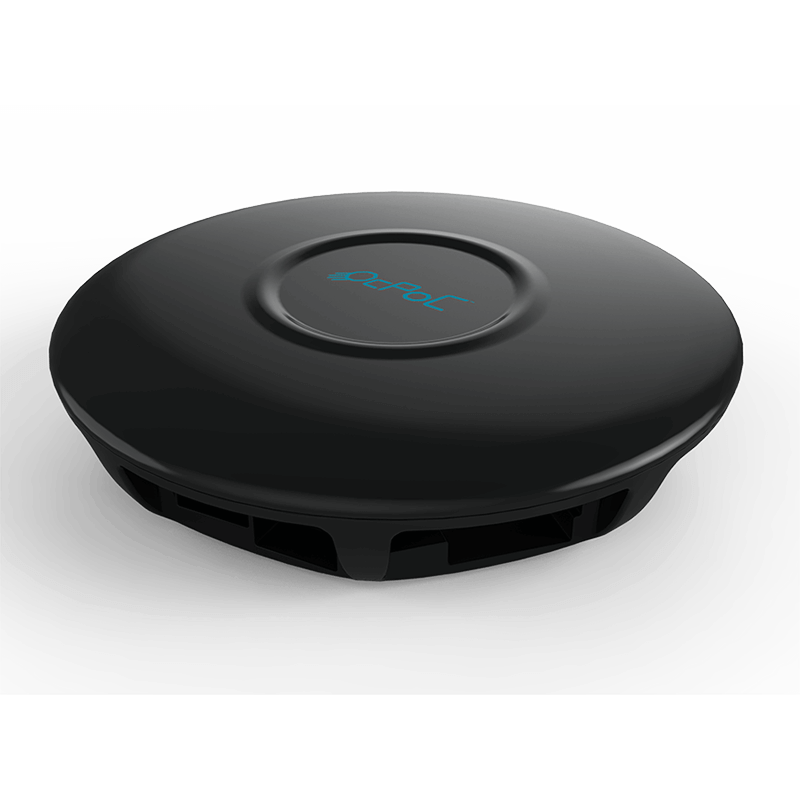 The commercial version is designed for commercial drone manufacturers and could be customizable in hardware and in flight stack implementation. The OcPoC system is a ready-to-fly box, integrated with IMU sensors and navigation systems. The OcPoC also expands its input and output capabilities to include fully programmable PWM, PPM and GPIO pins to integrate with a vast number of different sensor additions. It also includes many other standardized connectors for extra peripheral sensors. Along with the I/O expansion, the OcPoC provides increased processing power capable of achieving real-time sensor fusion and on-board data processing. This advanced system caters to both the UAV enthusiast that wants a ready-to-fly package, and also to programmers, researchers and developers wanting a platform to power their experiments. The OcPoC FPGA can run a Linux operating system that is easy to deploy and modify. This gives you more flexibility in developing new ideas and solutions. We made the development process as easy as possible so that every idea is within reach. What do I need to do to get my drone up and running with ArduPilot using OcPoC? 1. Use OcPoC’s hardware description file to create a new Linux project. 2. Add the ArduPilot code as an app to the Linux. 3. Choose which way you would like to boot the board. 4. Follow the assembly instructions for your UAV. Follow calibration instructions, and you’re ready to fly! What is the difference between OcPoC-Zynq and OcPoC-Cyclone? OcPoC offers both Zynq and Cyclone V SoC processor options. There are differences in technical features between both versions. We will release an official document containing a more detailed comparison. There is a suitable OcPoC version for whichever toolchain you are most comfortable with. What is the timeline for product delivery, and what are the plans for design sharing? 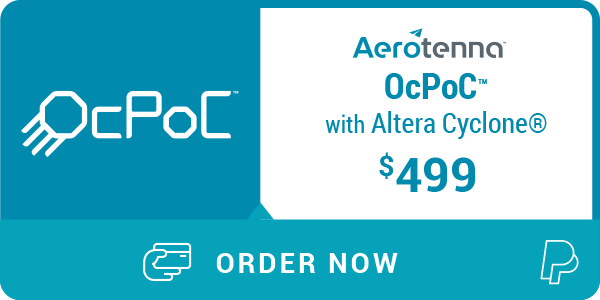 OcPoC-Altera is set to launch in August, and we are currently accepting pre-orders now until September. The first shipment is expected to arrive in the second half of September. We are in the process of upgrading OcPoC-Zynq, and will release the newest version in the Fall of 2016. Feel free to drop the OcPoC team an email for the latest update. For both OcPoC-Zynq and OcPoC-Cyclone, we have limited engineer samples in stock, so if you can’t wait for the final release, just ask for one or two units. The flight stack related files will be synchronized with the APM project release and will be on Github before the hardware shipment. Ask the OcPoC team for the private repository if you would like it before then. What kind of development is available on OcPoC? Our OcPoC team continuously develops and tests new software packages and operating systems to provide a wide variety in available projects and platforms. Currently, we have tested Petalinux (Xilinx’s compact Linux solution for the Zynq chip), and Ubuntu 14.04 (designed for the arm architecture). We have also tested Robot Operating System (ROS) on Ubuntu, and ran several open-source ROS projects to verify functionality. Check back regularly to see new progress as we continue to broaden OcPoC’s vast compatibility. If you have developed something worth sharing, let us know what you did! We may feature your idea on our website and provide our community with access to your creation. Sign up with our Google forum, or send us an email to submit your ideas.